While most evangelicals were watching Gunsmoke and taking their kids to the newly opened Walt Disney World, Schaeffer was listening and watching as a new worldview was taking hold of the larger culture. The year 1976, the very year that many Americans came to know that evangelicals even existed, continues to reverberate throughout evangelical Christianity. 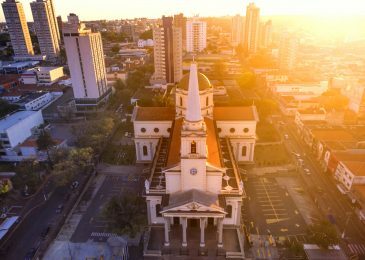 The towering giants of the evangelical world at that time seemed to see our world in increasingly hopeful terms. The urgent cultural crises of the 1960s appeared to be in recession. As we now know, it was not really so. In 1973 the Supreme Court handed down the Roe v. Wade decision legalizing abortion on demand nationwide. 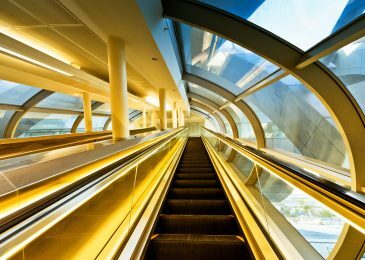 Larger intellectual currents were setting the stage for a massive shift in the culture. Evangelicals were wearing “I Found It” buttons and building massive megachurches, but the culture was shifting toward a hostile secularism that would not be fully apparent for a generation. Still, some saw it coming. I turned 17 years old in 1976, facing my last year of high school and trying to figure out the world around me. An apologetic crisis had troubled me for a couple of years by then, and I needed help. I was already facing some of the issues and questions that would explode onto the American scene in coming decades. Thankfully, I did get help, and from multiple sources. D. James Kennedy introduced me to the writings of Francis Schaeffer. I devoured He Is There and He Is Not Silent and Escape from Reason and The God Who Is There. At that point, I had not met Francis Schaeffer, but his writings were a form of theological rescue for me. I did not fully grasp all that Schaeffer presented in his books, but I did get his main points, and they gave me a way of understanding how the Christian faith related to and answered the questions of the world around me. I was asking huge questions. At the same time, I was captivated by a world that had opened to me through two British television series, both like nothing that had been presented in that medium before. I watched every minute of Lord Kenneth Clark’s magnificent series Civilisation and then Jacob Bronowski’s The Ascent of Man. Bronowski’s telling of the human story and the rise of modern science was fascinating to me, but I knew that much of what he was presenting flatly contradicted Christianity. Civilisation, on the other hand, raised no such alarm. I was hanging on every word and image as Kenneth Clark told the story of Western civilization and illustrated every epoch with his masterful explanation of painting and architecture, literature and music. I was hooked, and I wanted to see the cathedrals and abbeys and museums and libraries that Lord Clark showed me on television for the very first time. But Kenneth Clark was also telling a story — a story with art and aesthetic values at the center. I knew of the Protestant Reformation, but I did not know enough to understand that Lord Clark was telling the story of the civilization and culture of the West from a humanistic worldview. 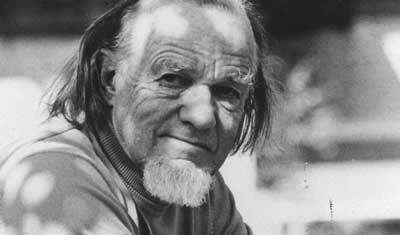 In 1976 Francis Schaeffer released How Should We Then Live? The Rise and Decline of Western Thought and Culture, and I bought one of the first copies. I read it from cover to cover with intensity, knowing that Schaeffer was telling the story of Western civilization as well. How Should We Then Live? was both a book and a multi-episode video project, just like Lord Clark’s Civilisation. This was not a coincidence. Schaeffer was deliberately answering both Bronowski and Clark in his project, but Clark most directly. He was telling a very different story. The subtitle of the book made that clear — The Rise and Decline of Western Thought and Culture. That was virtually the opposite of Lord Clark’s story. Schaeffer did not disagree with every argument of Clark’s Civilisation, but he did disagree with many of Clark’s arguments and, more importantly, with a humanistic interpretation of the main story. The main title of the book struck me as odd. It still does. It is correct, in terms of English usage, but I found it an odd way to ask the question. Then again, Schaeffer was odd. He famously dressed as if he had come down from the Swiss mountains in a previous century. In one sense he had. Francis Schaeffer and his wife, Edith, had founded and then directed L’Abri Fellowship, a ministry in the Swiss mountains, drawing disaffected and confused young people from around the world, mostly the United States, and presenting them with the gospel of Christ and, strangely and wonderfully enough, answering their questions with a rational and demonstrative apologetic for biblical Christianity. While other leaders were building the evangelical empire, the Schaeffers took in scores of long-haired and intellectually agitated young people, engaging their minds and interpreting the culture. I read How Should We Then Live? cover to cover in the first weeks of my senior year of high school. According to my library log, started when I was 13, this was the 80th book I had bought with my own money. At $12.95, back then it seemed to cost a fortune. I knew it was worth the price, but Schaeffer’s book troubled me. Who was right about the main story of Western civilization, Francis Schaeffer or Lord Kenneth Clark? I wasn’t sure when I first read the book. Lord Clark pointed to the continual rise of the culture over centuries, right down to the present. Schaeffer saw modern culture as overwhelmingly opposed to God and disintegrating, cut off from any ability to make transcendent judgments or truth claims. He saw the looming humanism as a direct challenge to Christianity. I realized then that Lord Clark believed the same, and yet he saw the new humanism as a liberation from ancient but persistent religious beliefs. To my chagrin, I had not realized the presuppositions behind Kenneth Clark’s story of civilization. The collision between Kenneth Clark and Francis Schaeffer, confronted in my first reading of How Should We Then Live?, introduced me to the great collision of worldviews that became such a central interest and urgency of my life. On the one hand, I felt embarrassed that I had not recognized the problems with Lord Clark’s storyline. On the other hand, I knew that I desperately wanted to understand the intersection of ideas, morality, art, culture, architecture, music, science, philosophy, and biblical Christianity. Schaeffer did not tell the story perfectly. Some of his generalizations were too broad and some crucial details were missing. Later critics would target Francis Schaeffer as the architect of an unsustainable effort to rebuild evangelical Christianity in a recovery of Reformation theology and biblical authority. More liberal critics have argued that Schaeffer established a dead end from which evangelicalism has not yet recovered. I see the truth as very different from that assessment. Later generations of evangelical scholars have accomplished far more than Francis Schaeffer in terms of academic scholarship and influence in many disciplines within the academy. But Francis Schaeffer was both asking and answering the most urgent questions long before the renaissance of modern evangelical scholarship. Years before words like “worldviews” and “truth claims” entered the common evangelical vocabulary, Schaeffer was introducing the terms and stressing their importance. He knew that the great conflict of worldviews was underway, and he cared deeply about a generation of young people who were even then deciding between Christianity or intellectual revolution. Schaeffer also believed that our worldview inevitably determines our moral judgments and understanding of reality. He was right when he challenged Lord Kenneth Clark to an intellectual duel, even if Lord Clark might scarcely have cared if Francis Schaeffer existed. Schaeffer did not set out to convince Lord Clark that he was wrong about the trajectory of civilization in the West; he wanted Christians to understand what was at stake. Schaeffer was absolutely right when he began How Should We Then Live? with these words: “There is a flow to history and culture.” Yes, there is such a flow, and Christians had better know which way the culture is flowing. “People have presuppositions, and they will live more consistently on the basis of those presuppositions than even they themselves may realize,” Schaeffer wrote, and he was talking this way when most evangelicals were unaware of the storm of worldviews that was coming. He perceived the presuppositions of the looming humanistic and secular worldview as showing up first in art and high culture. He was right. While most evangelicals were watching Gunsmoke and taking their kids to the newly opened Walt Disney World, Schaeffer was listening and watching as a new worldview was taking hold of the larger culture. He was also right that the greatest threats to evangelical faithfulness were the promise of personal peace and affluence. He was prophetic in criticizing the Christian church for a legacy of racism and the abuse of economic abundance. He was right when he looked to developments like Roe v. Wade and knew that something seismic had shifted in the culture, and that bigger shocks were yet to come. He was also asking precisely the right question: How should we then live? That question which troubled Schaeffer so much in 1976 troubles all of us now. We are about to find out if Christians in this generation are going to believe and to live authentic biblical Christianity. How will we live now? Get email updates and alerts. Unsubscribe at any time. Next Post Will Beauty Save the World?